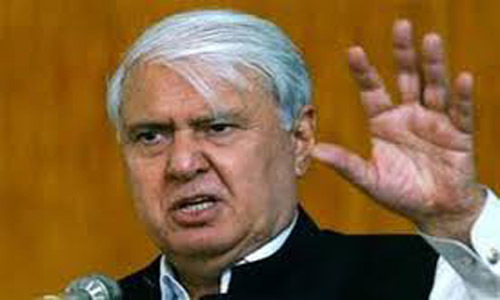 QUETTA (92 News) – Quami Wattan Party chief Aftab Sherpao has said that the National Action Plan (NAP) should be implemented immediately to end terrorism. Talking to the media after hearing into the Akbar Bugti murder case on Wednesday, he said that the apex committees should play their role. He said that now the senate election scheduled has been announced and it is difficult to amend the constitution or change the procedure with regard to the show of hand. “We want an end to horse-trading,” he said. Aftab Serpao expressed condolence over the death of the mother of Talal Bugti.